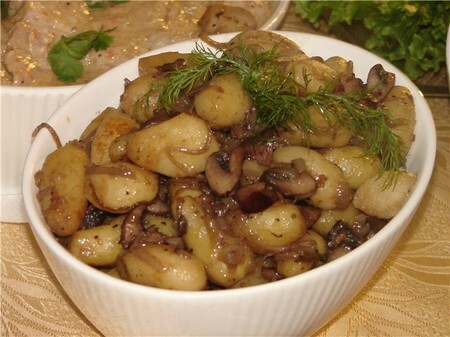 ﻿ Birch mushrooms: recipes of preparation of fried, marinated mushrooms. How to prepare birch mushrooms? Our woods are rich with various mushrooms. Among shady thickets it is possible to meet birch mushrooms - tasty mushrooms of a high grade. We recommend to prepare appetizing, refined and at the same time simple dishes from birch mushrooms which recipes we collected in this article. 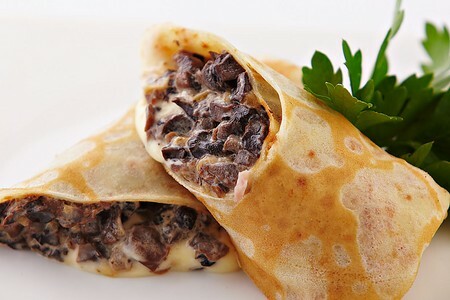 Pancakes with mushrooms are any dish of many hozyayushka, after all they are loved by both adults, and children. Such delicacies can be given with mushroom sauces, sour cream or cheese, depending on preferences of your members of household. 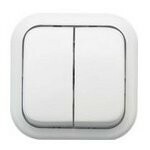 Anyway the lion's share of attention preparation of birch mushrooms about which we will talk separately deserves. Take mushrooms, wash and crush them. Small cut onions and fry it in vegetable oil. After it gets golden color, add mushrooms and fry until the most part of moisture evaporates. Then it is necessary to add sour cream and salt to taste, to protushit a little more. While the stuffing cools down, it is possible to bake pancakes. For this purpose all ingredients, except oil, mix up the mixer, then we add oil and we bake thin pancakes. Each pancake, depending on the size, is filled with one spoon of mushrooms and sealed by "envelope". The dish can be given as we heat, and cold, seasoning with sour cream, grated cheese, greens or other additives. We hope, now, when it wants to you something tasty, preparation of mushrooms of birch mushrooms will not become a problem. Vegetable dishes are famous for the invaluable advantage for an organism and excellent taste. If there was a question how to prepare birch mushrooms with potato, we will give the step-by-step management below. Having used this recipe, you will be able shortly to indulge the members of household with a fine dish which perfectly is suitable for a daily or holiday table. The recipe of preparation of this dish is quite simple and clear, and here taste at it quite unusual. For a start it is necessary to clean accurately mushrooms and to slice their small, previously having washed out flowing water. Further to fry them on a frying pan practically to readiness. In the same time it is necessary to clear, cut potatoes and to fill up it in a frying pan to mushrooms, having carefully mixed. Further and to readiness the dish needs to be disturbed very carefully, it is desirable to use for this purpose a wooden spoon. The dish should be covered and fried until potatoes do not prepare. After that here it is necessary to add the onions cut by thin half rings to salt, pepper and leave in a frying pan a little to be drawn. If interests you, whether it is necessary to boil birch mushrooms before preparation, the answer to this question will be unambiguous - no, it is not necessary. This mushroom has fine tastes, and when cooking they are lost, as well as its nutrition value. Vkusnyesoleny birch mushrooms which recipe we will give below, prepare very simply. Thus mushrooms remain elastic and beautiful all winter season so at any time they can be put on a table. Mushrooms need to be cleared of pollution, consolidations, the worm-eaten and damaged places. Further they are crushed, but is not strong that the received slices were convenient to be taken. Previously before marinade preparation mushrooms need to be boiled within 10 minutes and to merge water. Further preparation of mushrooms of birch mushrooms is reduced to heating of marinade. All ingredients mix up with the boiling water into which mushrooms plunge and cook about half an hour. Then in capacity pour vinegar, garlic and cook 10 more minutes. 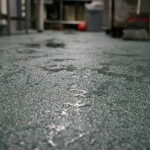 After that remove from fire and roll up in previously sterilized banks. We hope that recipes from birch mushrooms with a photo are presented in the clear form and will become useful to each hostess. As you can see, from birch mushrooms it is possible to prepare many tasty food for all family or to prepare them for the winter that then to put on a holiday table. 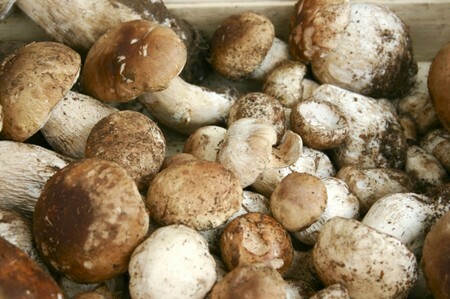 Pay the attention that young mushrooms of the small size best of all are suitable for salting, and here for preparation of potatoes, for example, any will approach, the main thing that they were not worm-eaten and did not begin to rot.